Jamie here, and I have a birthday card to share with you today! 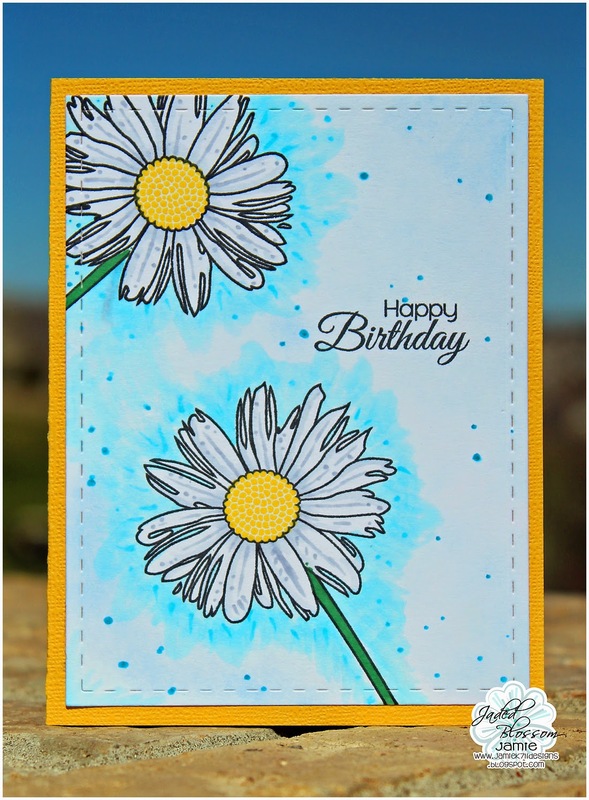 I stamped a couple Daisies onto the Card Mat Die. Then I colored them using my Copics. Last I added a sentiment from Simple Sayings. Gorgeous card! The background is fabulous and love the pretty flowers!